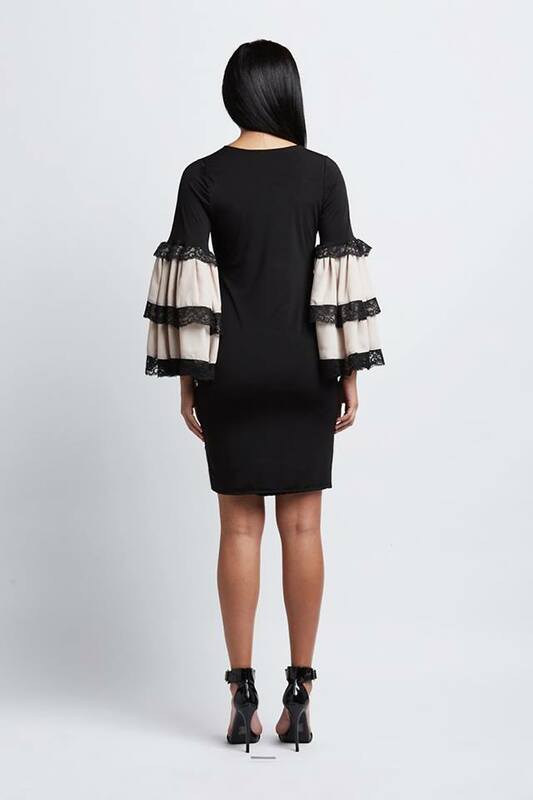 It's all about sleeves! The Zenia Dress by Julian Chang simply speaks for itself. Unforgettable and romantic this classic yet unique black dress features a diagonally wrapped bodice, a v-neckline and stunning ruffled bell sleeves in a delicate pastel pink color with gorgeous lace details. FashionistaBoutiqyenyc.com is a registered trademark. All rights reserved.